The SEO landscape is constantly evolving. Algorithm updates, increased competition, and technological innovation create new challenges that businesses and their marketers must overcome. But each new challenge also brings new opportunities. 2018 promises to be an exciting and lucrative year for companies that choose to invest in SEO services. In this entry, we make three bold predictions for search engine optimization in 2018. 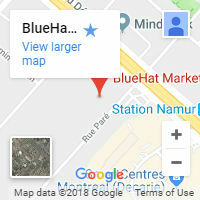 At BlueHat Marketing, we take pride in being at the forefront of the SEO industry. We are constantly keeping our fingers on the pulse of the landscape, making sure we stay one step ahead of competition. After analyzing 2017 through the lens of search engine optimization, we’ve painted a clearer picture of where SEO is headed in the next 12 months. Being on page one of Google’s results is a must. 75% of users never scroll pass the first page. In 2018, traditional SEO real estate (spots #1-10) is going to shrink even further. As Google introduces more features to its pages and “instant answers” become more sophisticated (meaning they answer questions more accurately), businesses will find themselves fighting against both their industry competition and Google itself. But, as we said before, each challenge is also an opportunity. What should businesses do? There could be fewer organic spots to rank for; however, intrusive features on the SERP aren’t necessarily a bad thing. If you put a strategy to rank for featured snippets in place, you will be at a major advantage. Your customers will see you and only you at the top of the page. Voice recognition technology is increasing at an incredible rate. With nearly 90% accuracy, users are turning to voice search for the convenience. From 2008-2016, voice search queries increased by 35 times. That is a staggering number! Marketers and companies will have to take notice. If voice technology becomes reliable enough to achieve 90% word recognition or greater consistently, websites will have to be optimized for voice search. Having a research and analytics team by your side to monitor the numbers will be of utmost importance. And many more valuable bits of information. 2018 will be about more than bringing new users to your site—it will be about how to turn those visitors into paying customers. These three predictions should help steer your decision-making and make sure there are no surprises this year. SEO is evolving, and marketing agencies must now focus on growth more than ever. 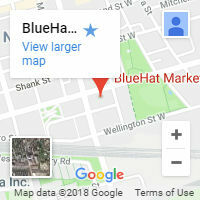 If partnering with an agency that focuses on how to grow your business by increasing visibility and driving sales sounds like something you’d be interested in for 2018, let BlueHat Marketing know.